One of the new challenges in America is how to restore the balance to urban America. It is quite possible that Marion Barry Jr., who was a civil rights activist who served three terms as mayor of the District of Columbia, and survived a drug arrest and a stint in jail, and then returned to politics win a fourth term as Washington’s city’s chief executive, lived a life that may have left us with an urban solution. 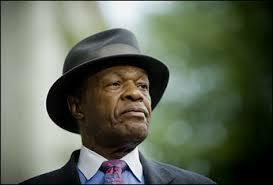 Marion Barry Jr., died around midnight Saturday, November 22, 2014 at United Medical Center in Washington. He will leave behind a legacy of hope and redemption particularly for Black men who often find themselves on the “wrong side of the law” and end up in the criminal justice system. As America awaits the Ferguson Decision, the country is tasked with the best way to have a national discussion on racial equality and the disparities within the criminal justice system. It is all too common to listen to the discussions that are taking place particularly in the Black community where very complex questions are constantly being raised. What about all the Black men who have been incarcerated and then return home? How are they supposed to rebuild their life? Some of the urban blue print for the re-entry of Black males may well reside in the life example of Marion Barry Jr.
Aside from his determination, zeal, and perseverance, it was emphatically clear that the community he served loved him. His life example will live on as a testament to America’s social compassion. This entry was posted in Uncategorized and tagged Ferguson Decision, Marion Barry Jr., racial equality, re-entry, urban blue print. Bookmark the permalink.